BISBEE- John Ladd is a fourth generation Arizona rancher whose property straddles the international boundary with Mexico. For years, Ladd said immigrants have cut through his 10.5-acre property to get into the United States. He said he’s seen fewer immigrants since President Donald Trump came into office. But, he added, he continues to see people smuggling drugs across the border. “(They carry) 50-pound backs and 20-pound belly bundles,” he said. The number of apprehensions of undocumented immigrants on the southern border has gone down from nearly 409,000 in fiscal year 2016 to nearly 304,000 in 2017, according to data from the U.S. Border Patrol. However, the smuggling of hard drugs, such as cocaine, heroin and methamphetamine, has increased, according to data also from U.S. Border Patrol. Authorities seized nearly 900,000 pounds of marijuana and more than 15,000 pounds of heroin in 2017. 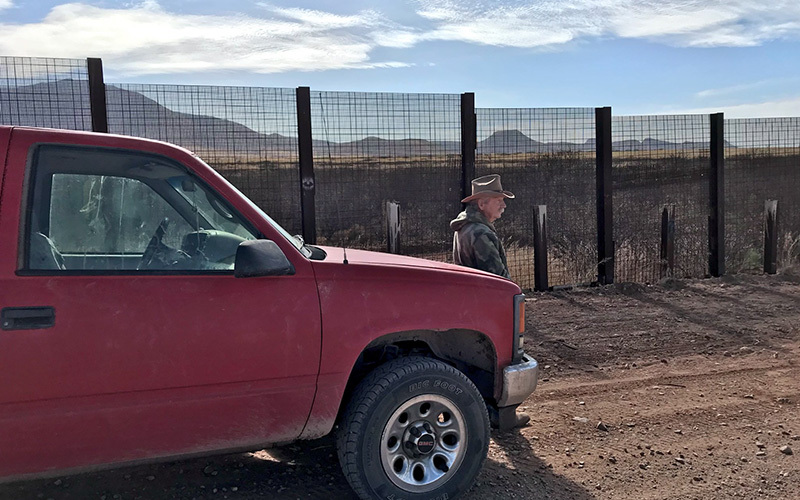 Ladd said that in back in 2012, undocumented immigrants started crossing into the United States by cutting through sections of the border fence and driving their trucks across his land. About two years ago, the government put in additional barriers. 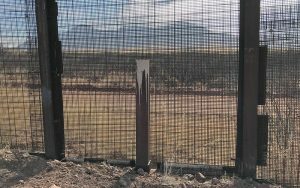 An official with the Tucson Border Patrol said they have focused more on drug enforcement efforts. “We’ve still been able to increase our technology that we have throughout the border and then our manpower as well has continued to increase,” agent and spokesperson Stephanie Dixon said. For ranchers like Ladd, these efforts are not enough, as they still have drugs coming through their land. “I don’t know if we’ll ever see a decline in the drugs,” Ladd said.